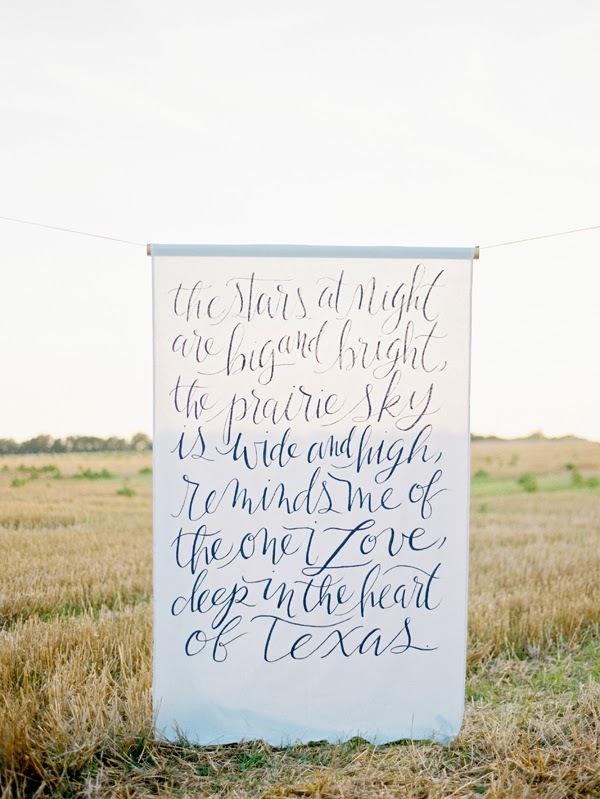 We saw this beautiful and whimsical sign in Southern Weddings and just had to share it with you! 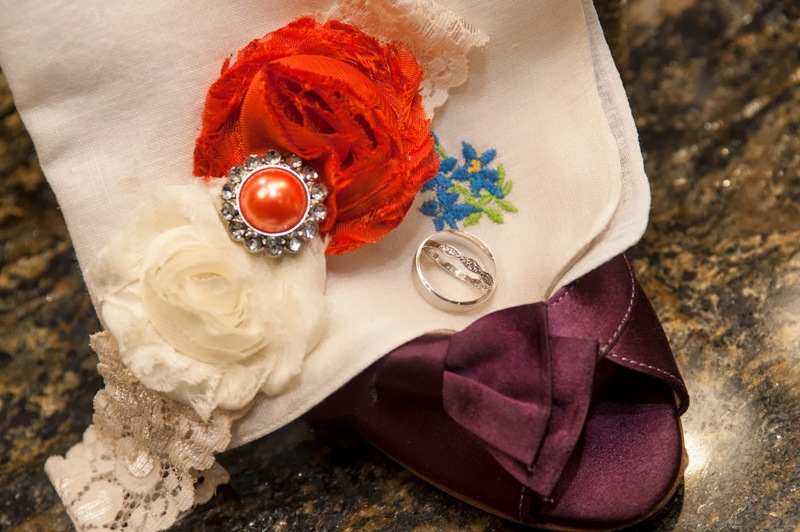 We so adore when couples get creative with bringing in their heritage to make their wedding more unique and representative of them. 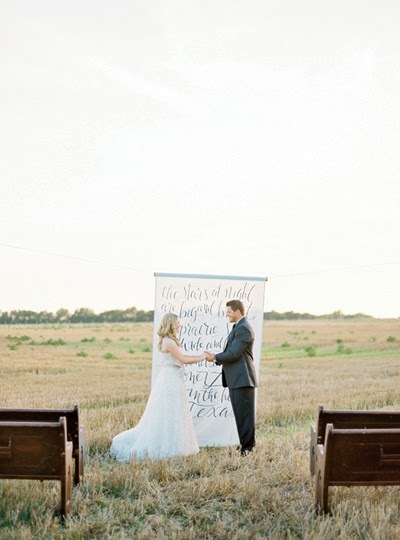 This hand-painted ceremony backdrop inspired by a favorite Texas anthem is just the thing for a couple of proud Lone Star State natives, and we just love it! See more of this Texas-inspired styled shoot, Deep in the Heart of Texas, from SW’s V6 issue here. 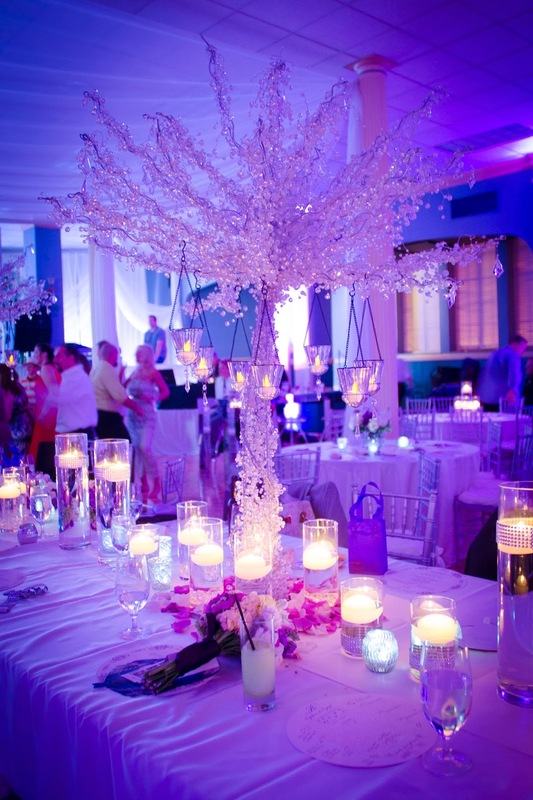 Before we get too much further into 2014, we wanted to take a quick look back at some of the dazzling weddings our incredible team designed, planned and executed during 2013! 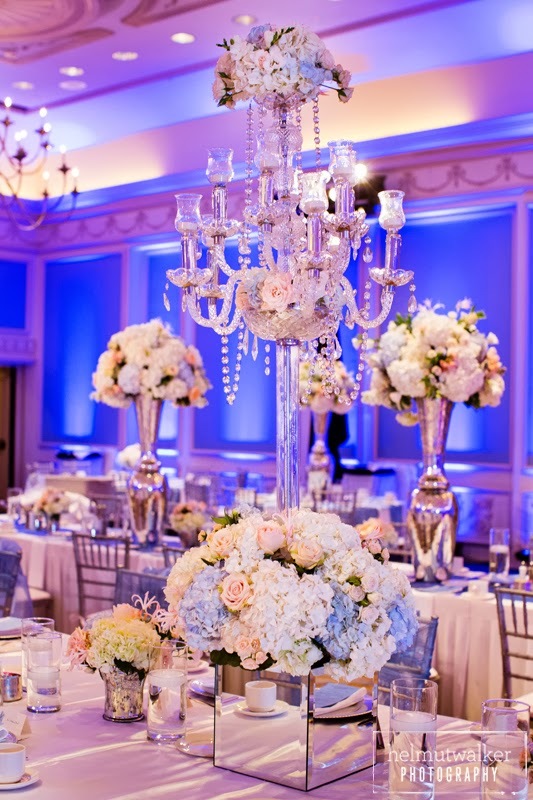 This couple chose a sweet color palette of navy blue and pink accented with lots of romantic candlelight, lush flowers and chandeliers. 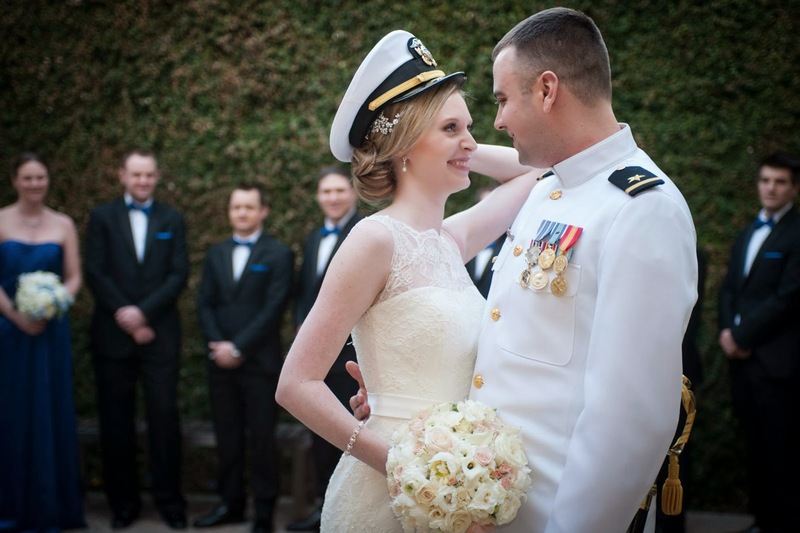 It was the perfect mix for their intimate outdoor ceremony and charming reception. 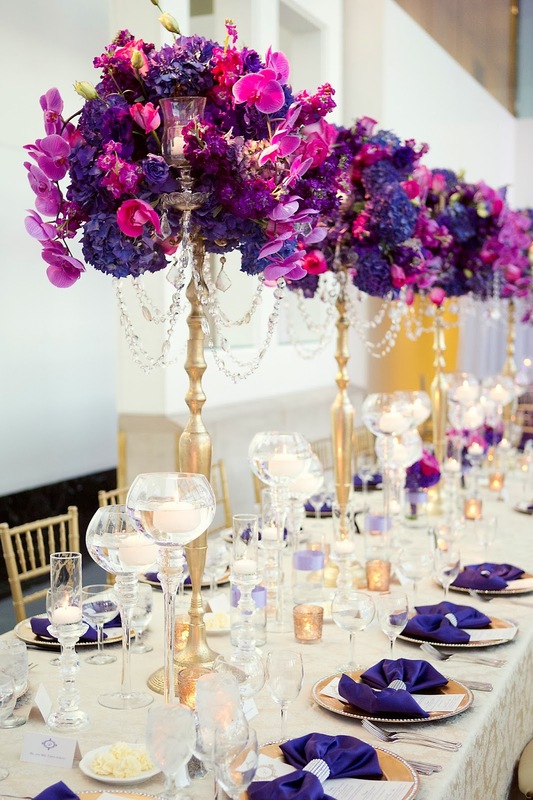 This head table was nothing short of fabulous! 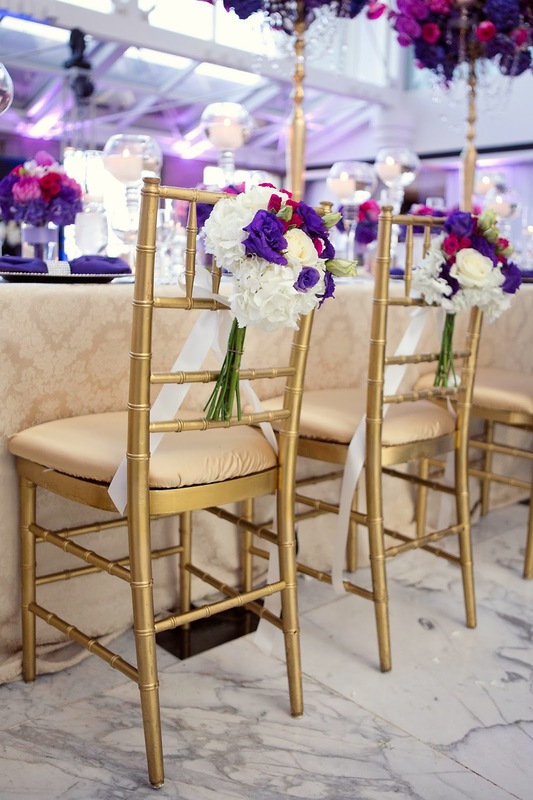 Those bold colors, that glitzy gold and all that bling – oh-so-glamorous! 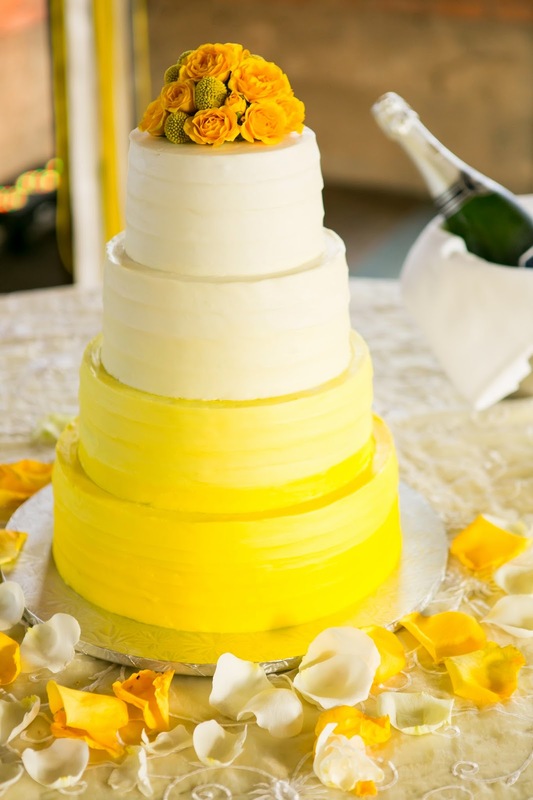 We adored this whimsical yet elegant color combo of yellow and grey, as well as the darling honeybee motif! 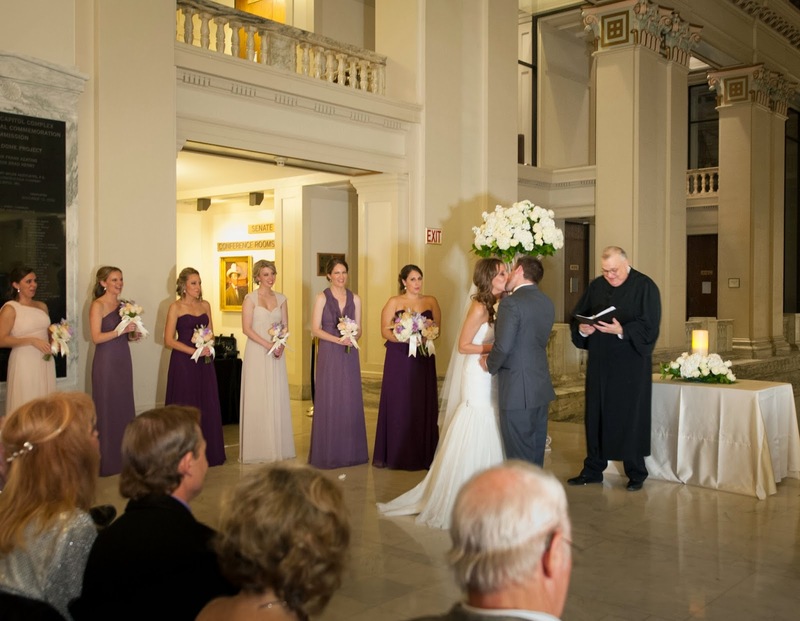 This wedding was happy and fun! 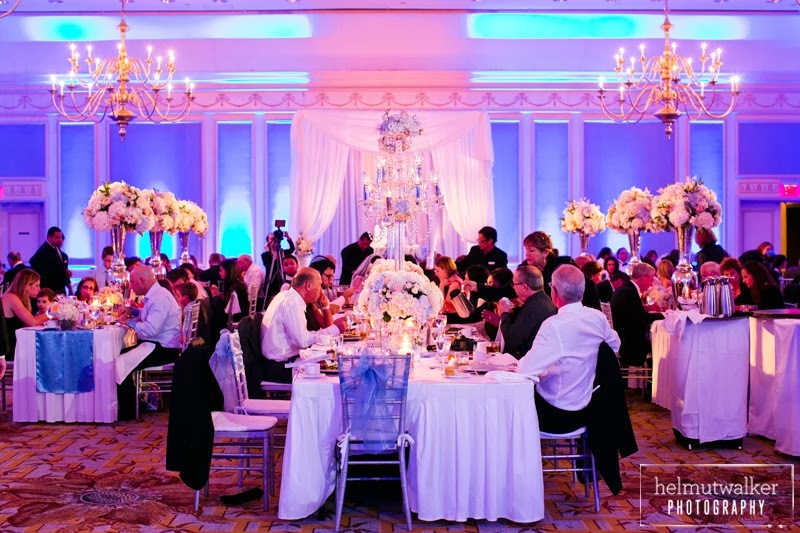 This stunning wedding was just over-the-top, with lush florals and gorgeous blue lighting that saturated the space. 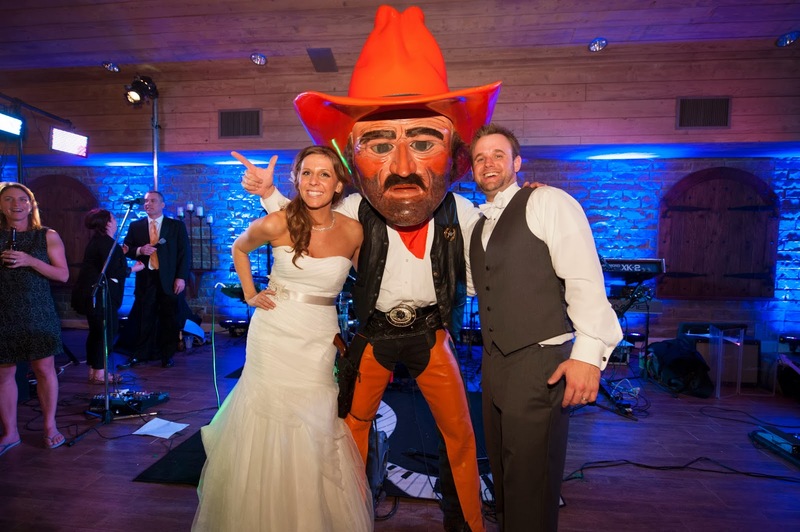 This fun wedding was OSU-crazy all the way! 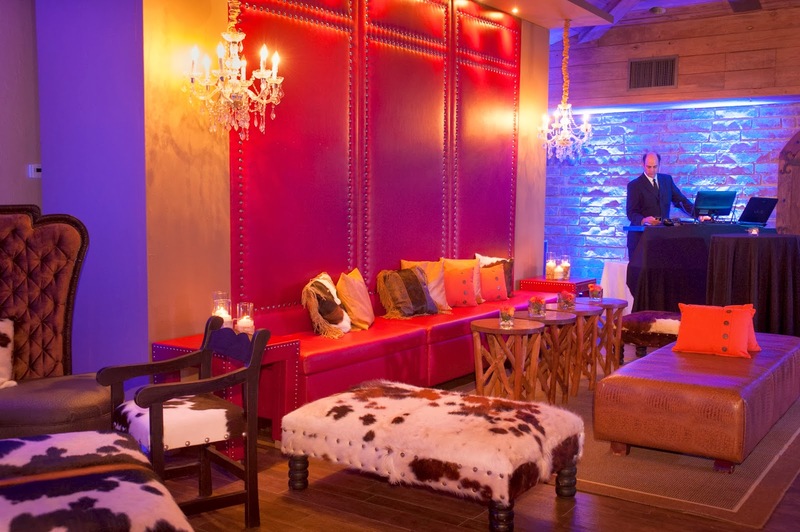 The Oklahoma City destination event was full of OSU orange details and nods to the couple’s beloved Cowboys throughout. Okay, it was too hard to choose only one. 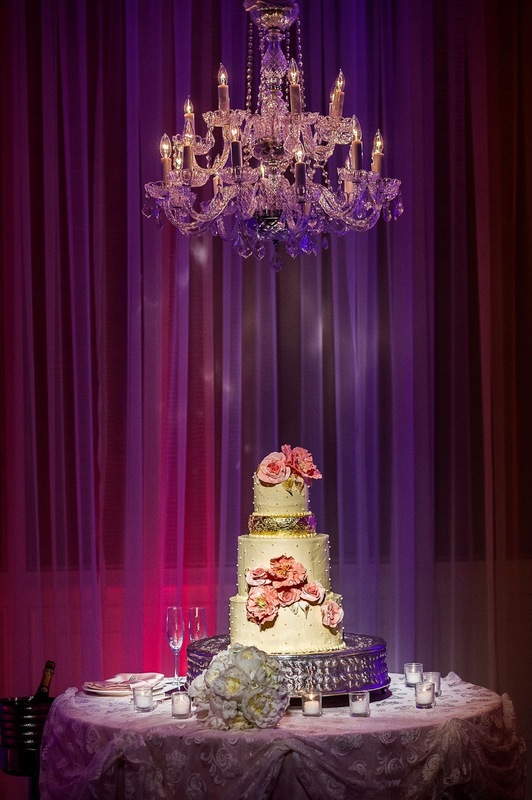 2013 was a great year for gorgeous cakes, and we had fun with our brides devising the most beautiful ways to show them off. Here are just two stunning displays. Seriously, who doesn’t love a man in uniform? 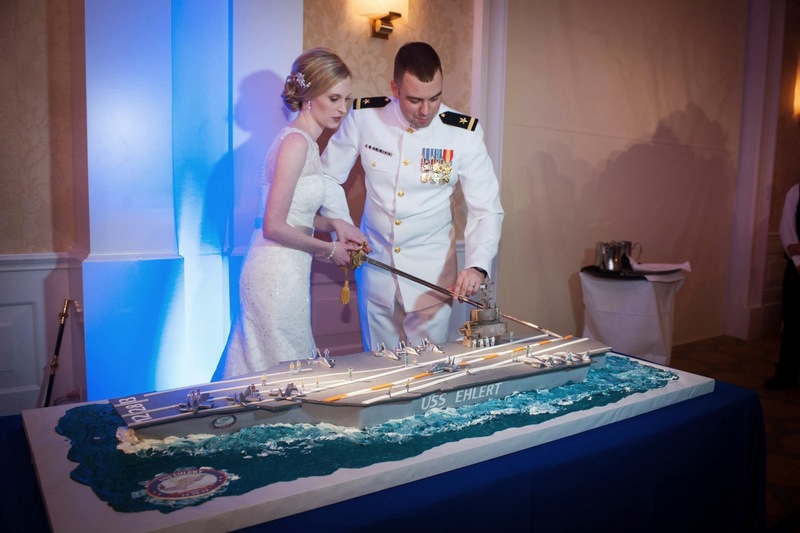 Give us several of them at a wedding where the bride and groom want to bring in the fun traditions that go with a military wedding (saber arch? 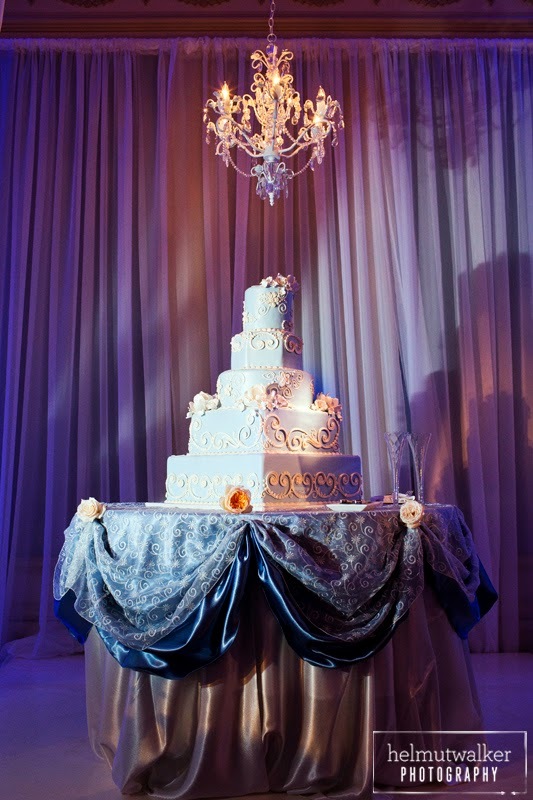 cut the cake with the saber? yes please!) and we’re sold! Mismatched bridesmaid dresses are still H-O-T and we love when brides think even more outside the box, not only mixing up shades, but also bringing in different but complementary hues. 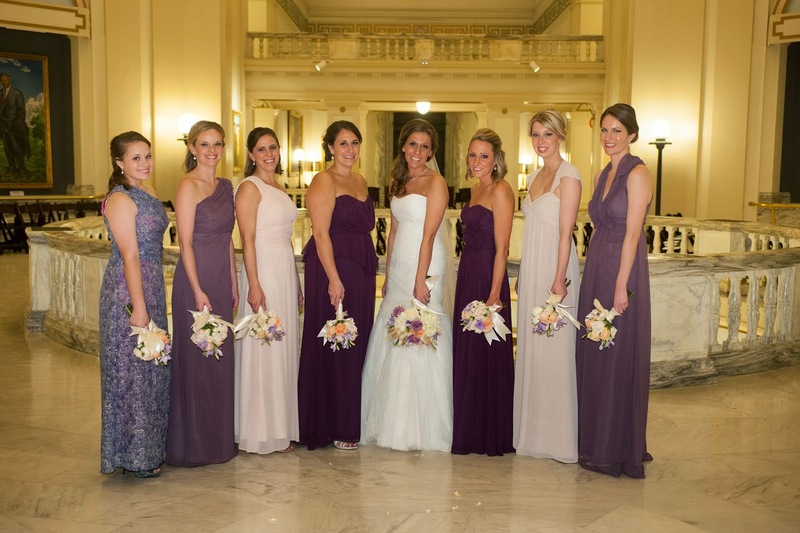 This bridal party was gorgeous and each ‘maid had a lovely gown perfectly suited to her own personality and style! Sometimes, we have clients who have booked a reception site that doesn’t exactly fulfill their design vision. That’s when we get to partner with amazing vendors to completely reinvent the space! 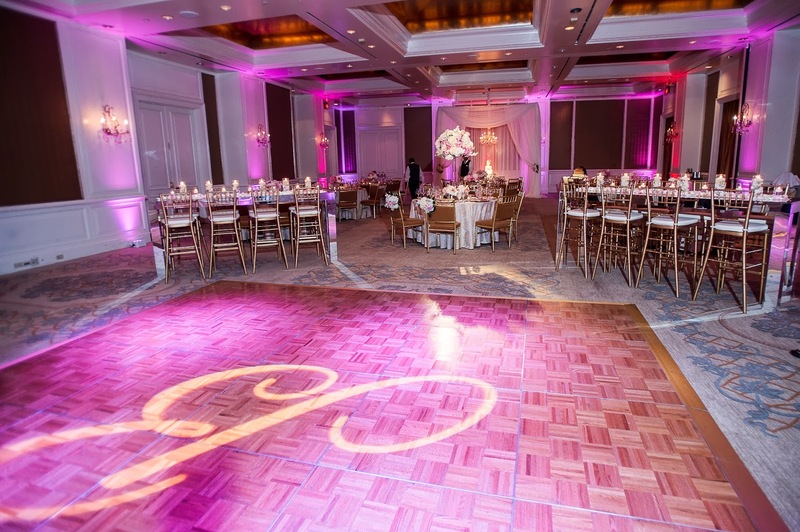 Such was the case as we transformed this turn-of-the-century basement ballroom into a glamorous and romantic reception room. 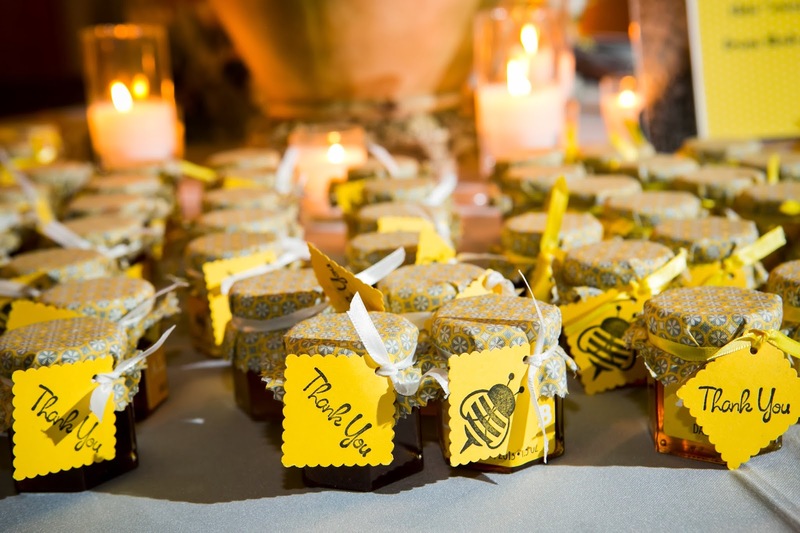 Favors are an easy and sweet way to thank your guests for joining you in celebration. 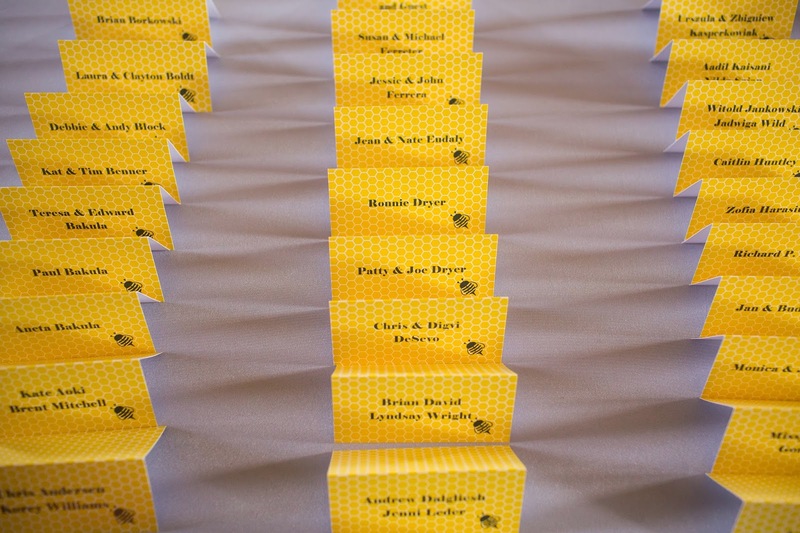 Edible favors are always a favorite, and they’re especially fun when they tie into the season. 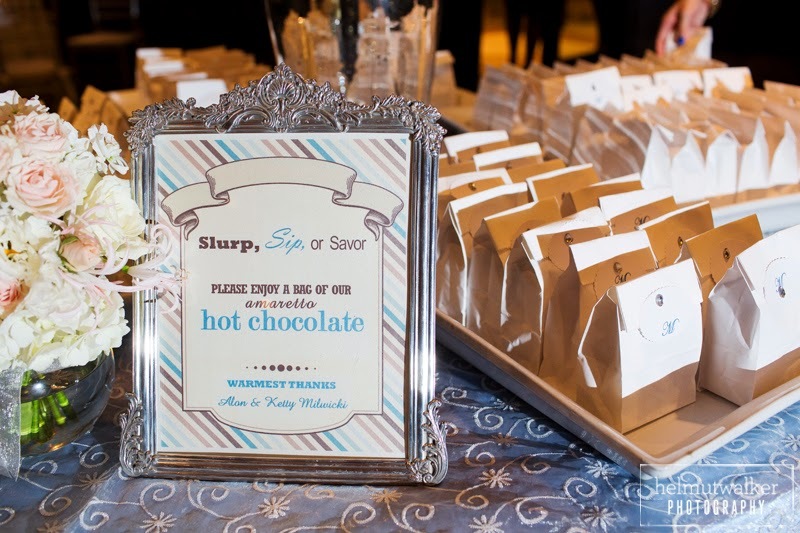 We loved these hot cocoa favors, and the presentation of them was just beautiful! 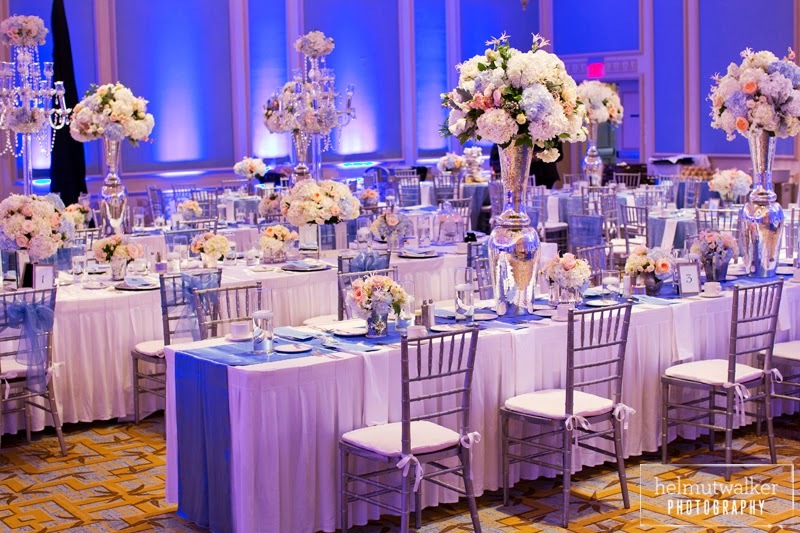 If you would like to learn more about our wedding planning services and what StarDust’s wedding planners can do for you, contact us for an appointment! StarDust Celebrations is thrilled to host a trunk show this weekend for designer phenom Matthew Christopher featuring his Spring 2014 collection. 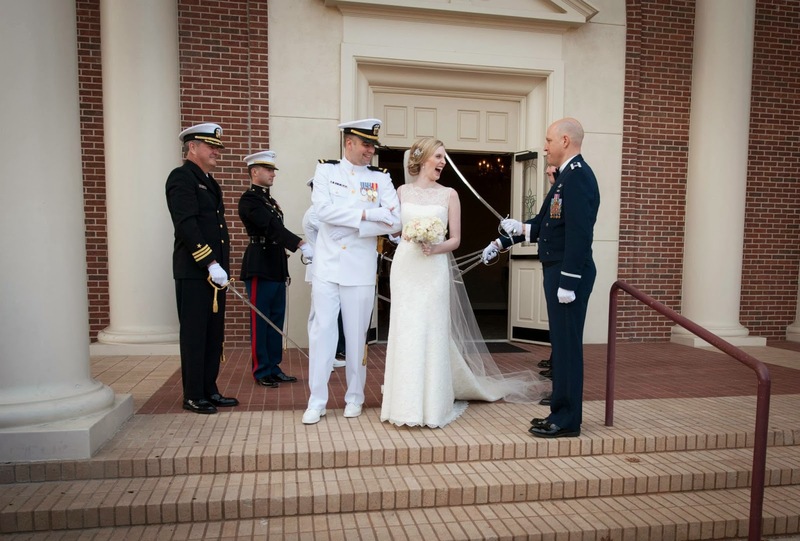 Matthew Christopher is known for his tradition of superior service and attentiveness to detail. He pours his passion for hope and love into each of his gowns and the result is a line of amazing designs that embody the joy of exquisite and innovative details such as dimensional textures, extravagant beading and glamorous silhouettes. 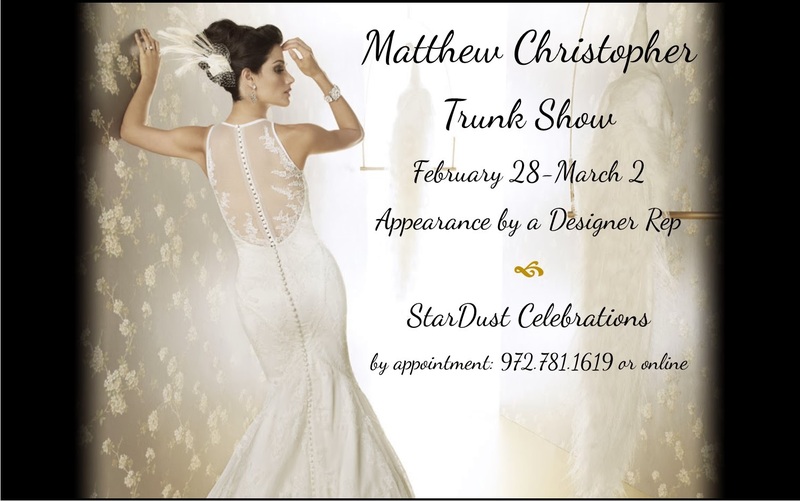 After making a sterling reputation for himself in the bridal industry at a young age, Matthew launched his own label in 2002 and has designed his gowns around personal connections with countless brides, whom he delights in using as his inspiration. His lines are known for their drama in every detail and the careful construction that gives each bride an impeccable fit. A representative of the designer will attend the trunk show. Call 972.781.1619 today to schedule your appointment at our West Plano bridal salon during this special shopping event. Or book online here. We’ll see you soon! With warmer weather finally heading our way and spring knocking on our door, we could not be more excited about the carefree feeling that this season can bring! Springtime heralds in all things new, fresh and fun! 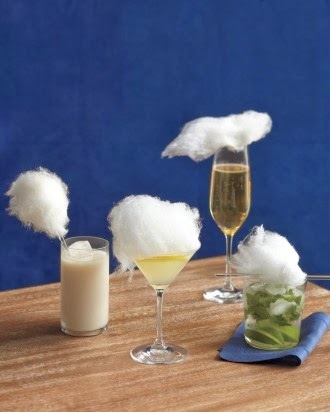 Spring weddings often lend themselves to more whimsical elements, and we adore this particular touch of whimsy suggested by Martha Stewart Weddings: “cloud” garnished cocktails! 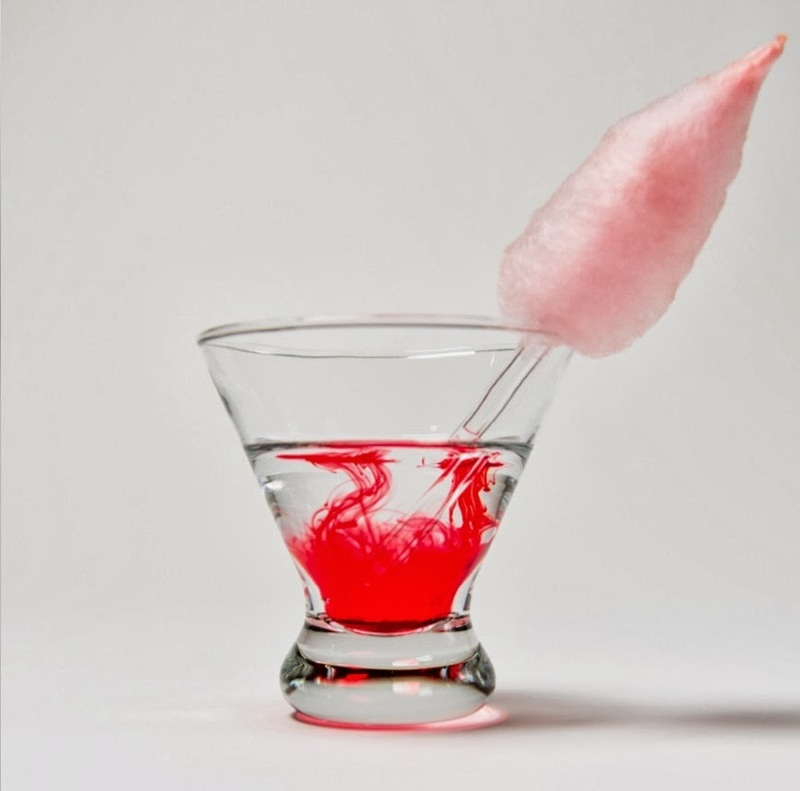 Seriously, how precious are these beautiful cocktails adorned with fluffy goodness of sweet cotton candy?! These feature differently flavored varieties by Spin-Spun out of Chicago. The all-natural (as in fat-, gluten-, nut-free and no preservatives and artificial colors or flavors, etc.) confection is offered in luscious flavors such as coconut, peppermint, strawberry and cinnamon, to name a few. But did you know Dallas has its very own gourmet cotton candy company too? Fluffpop offers organic and exotic flavors including cherry, guava, lychee and caramel in a few options, such as tiny pops to accent drinks, a live spin action station for your special event and mini-mason jars perfect for wedding favors! Check them out to see the full line of flavors and ordering options. 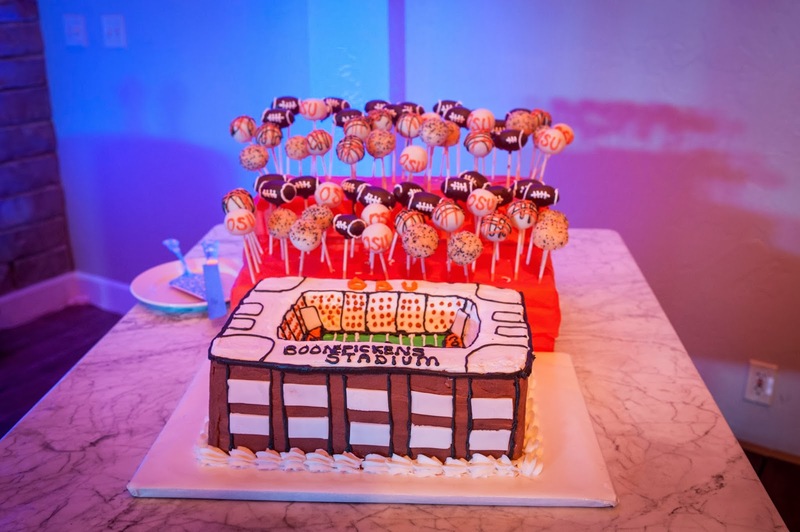 Such fun treats will make your guests so happy, they’ll feel like they’re walking on clouds! 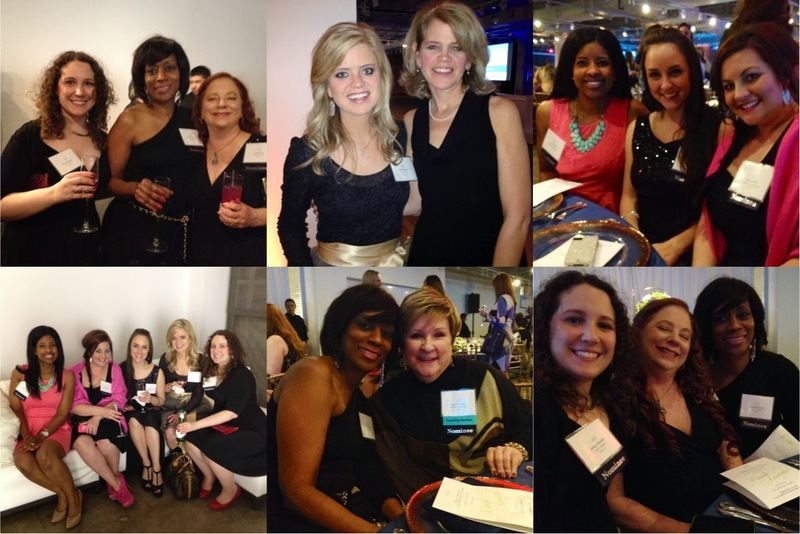 AACWP members, you astound and humble us! 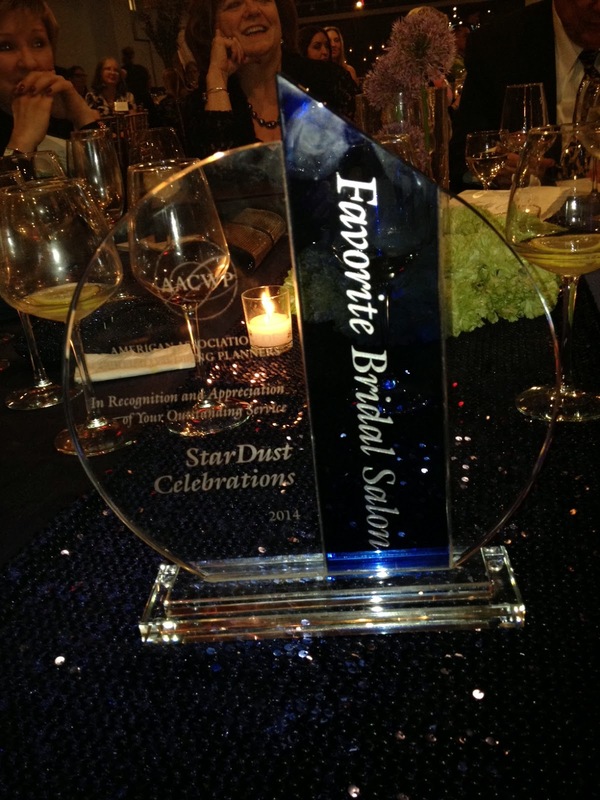 We are incredibly honored to have StarDust Celebrations selected again as the Favorite Bridal Salon by this extraordinary group of talented wedding planners. 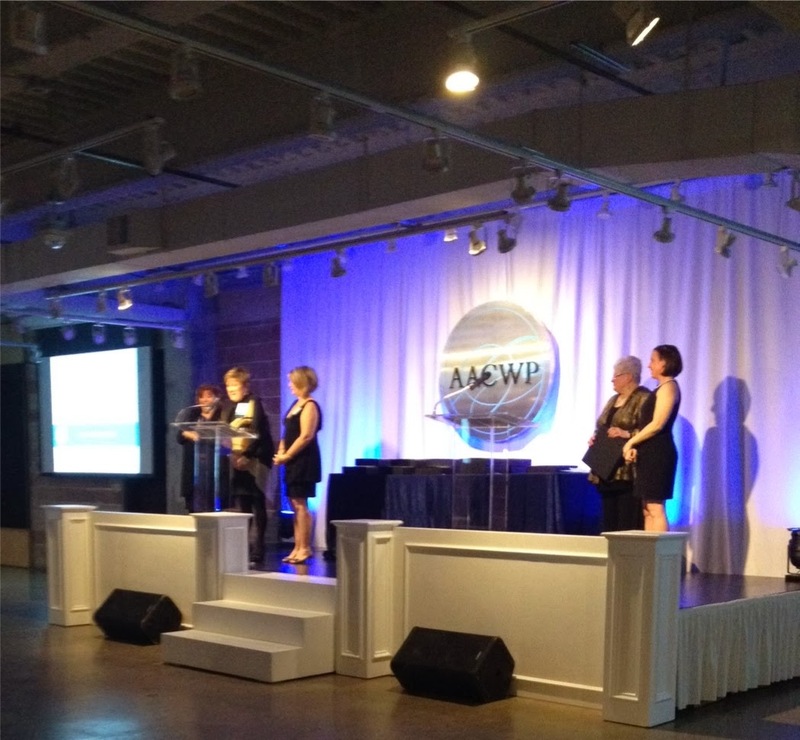 Our elegant award will live in a place of honor displayed in our beautiful salon. 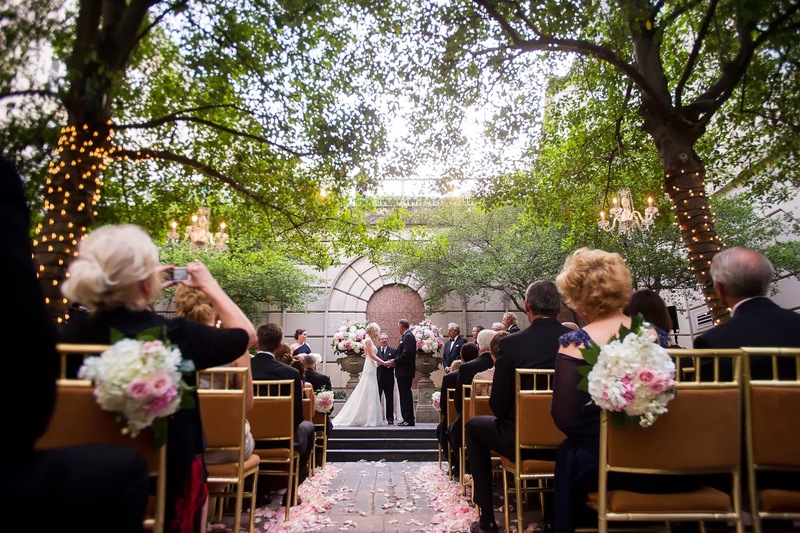 The membership of the American Association of Certified Weddings Planners is made up of more than 100 of the best and brightest wedding planners, admired and respected by the finest wedding vendors the state of Texas has to offer. 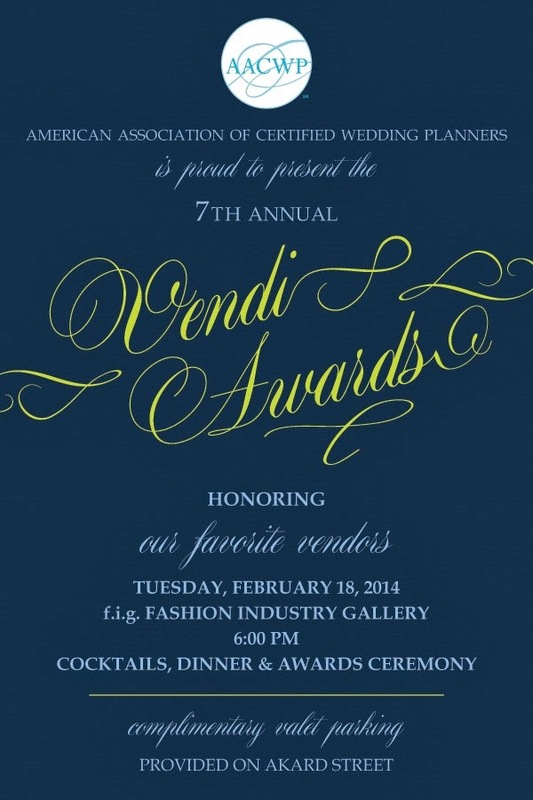 This year, the awards received a makeover and are now called The Vendi Awards. Cute, huh? 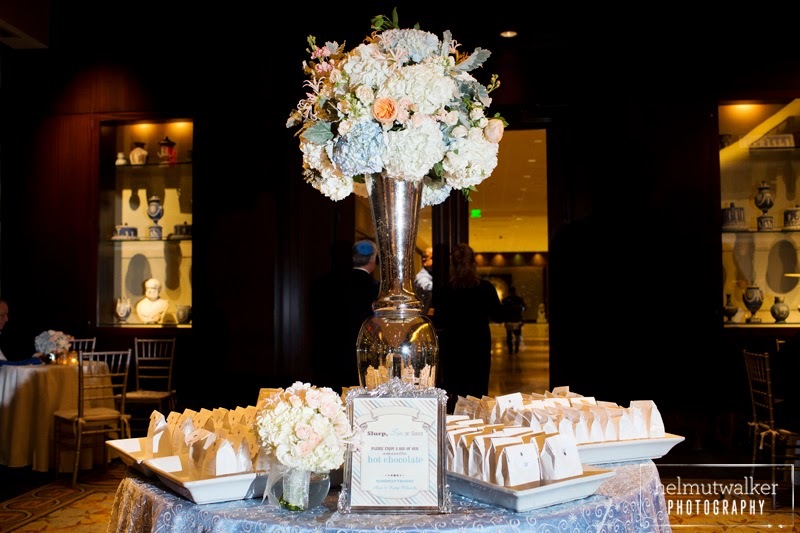 This was, however, the seventh year of the recognition celebration, and it stuns us to be able to say that we are the “reigning champions” in the bridal salon category – an unbelievable honor given the many wonderful bridal salons in this market. This award belongs to our incredible staff, who work tirelessly and joyfully to serve every bride who walks through our door. It is our stylists’ passion and pleasure to help each bride find her perfect wedding gown for her special day. 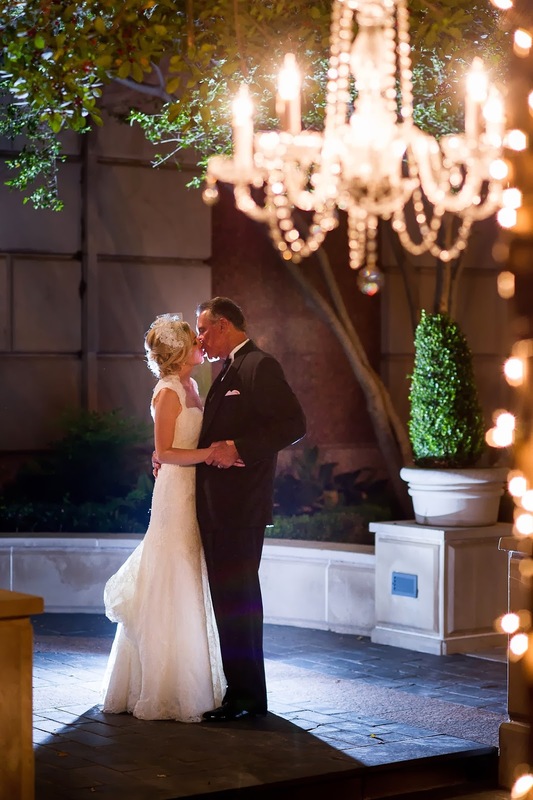 Thank you, thank you for your dedication and commitment to our brides and their families and to StarDust Celebrations! Just a few members of our incredible team! 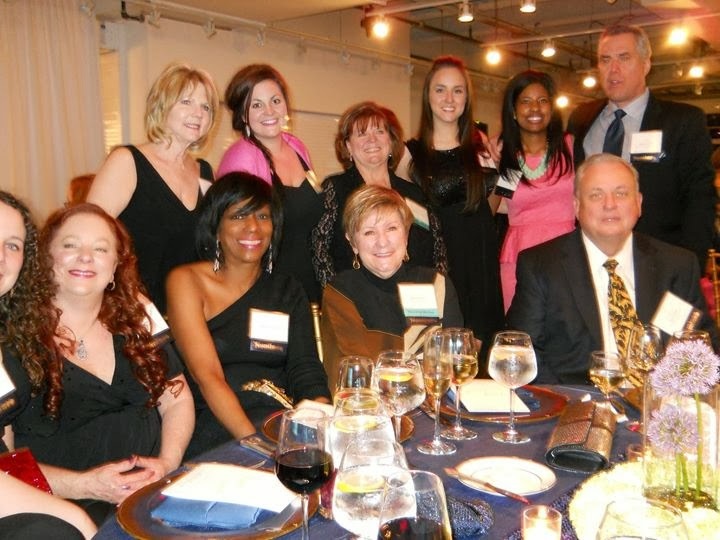 More of our rock-star team and our fearless leaders! 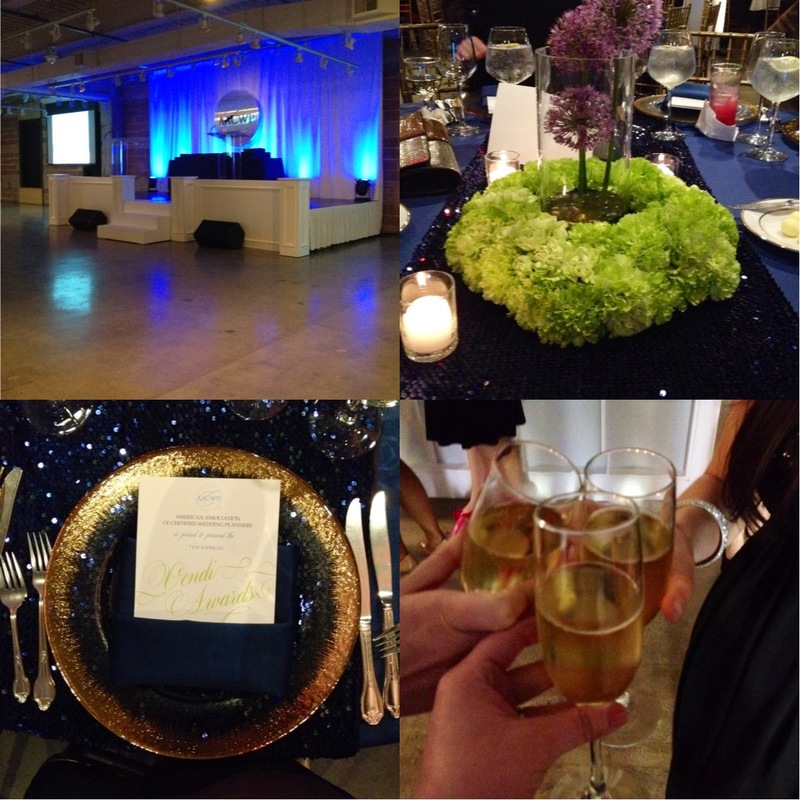 Here are more fun shots from the special night. Some of the lovely details from the event. The evening’s program listing the nominees (yes, LuLu’s was nominated, as well!) 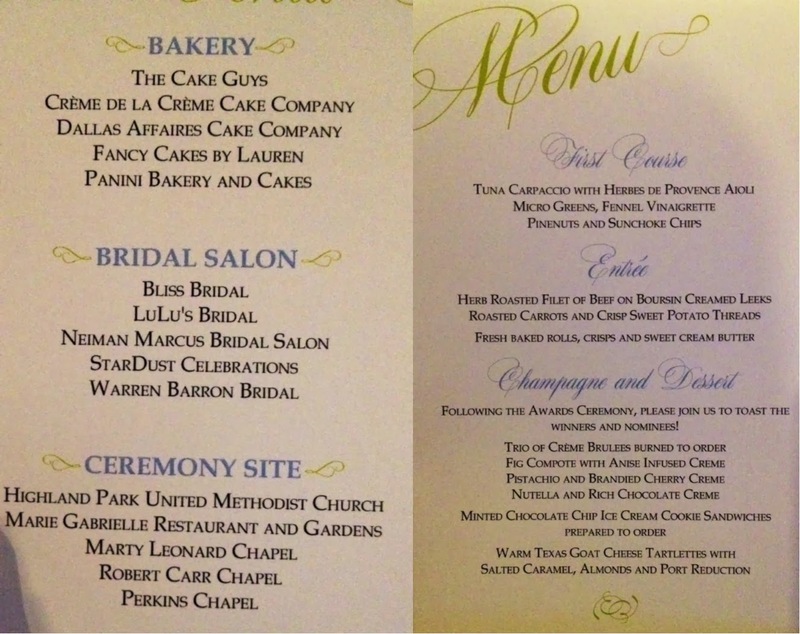 and our incredible menu. 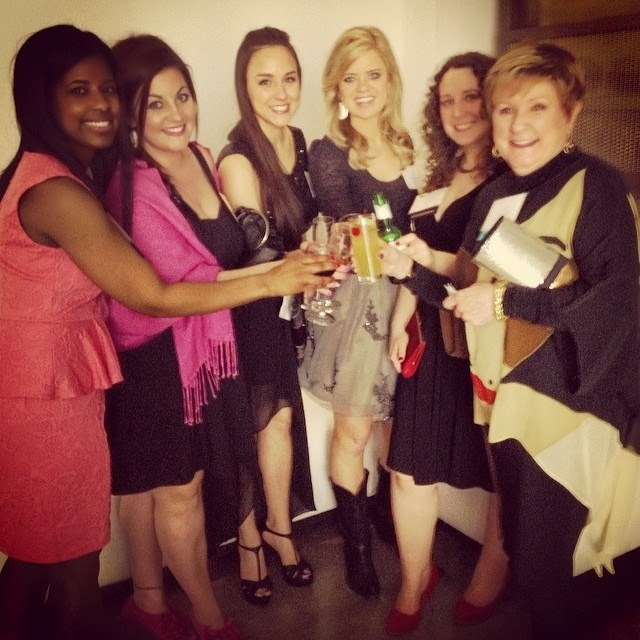 Our wonderful team had a well-deserved fabulous time! had oh-so-many years ago! We are so thankful for their leadership! 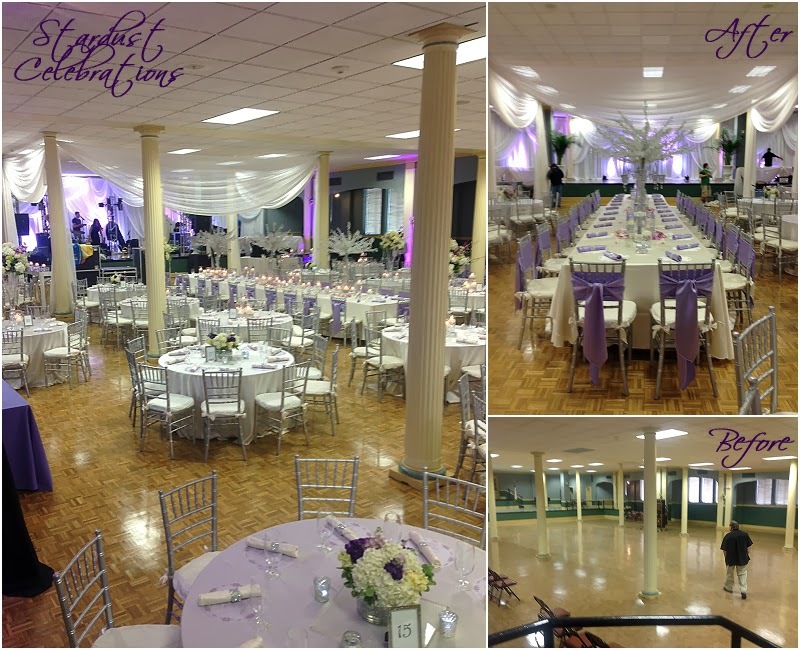 And thank you, AACWP planners, for putting your faith and trust in us to bring your brides’ wedding style visions to life. 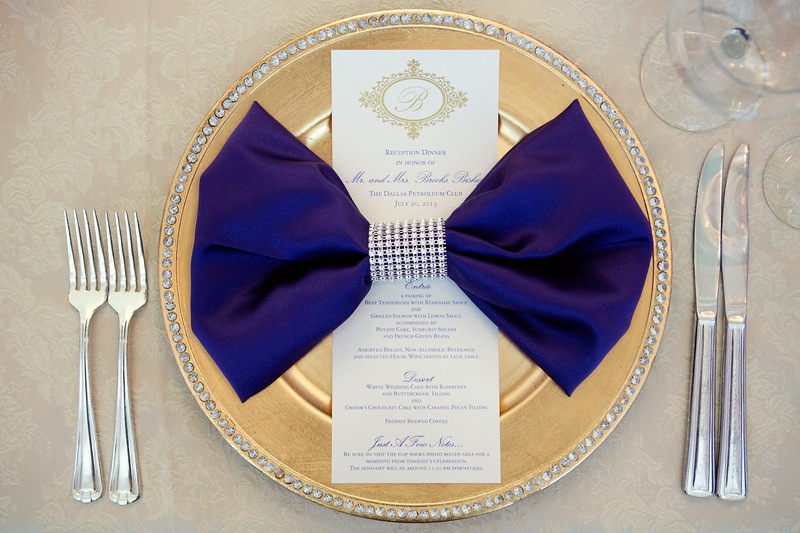 We are grateful to be a partner with you in flawlessly making your clients’ wedding day dreams come true! We look forward to another outstanding year of working together!